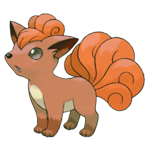 Vulpix is the thirty-seventh Pokemon on the National Pokedex and was introduced in Generation I (Red, Blue, Yellow). Vulpix is a Fire type Pokemon. 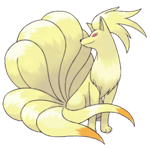 It is a basic Pokemon that evolves into Ninetails by using a Fire Stone.